Regal Riviera | Just Shooting Memories! 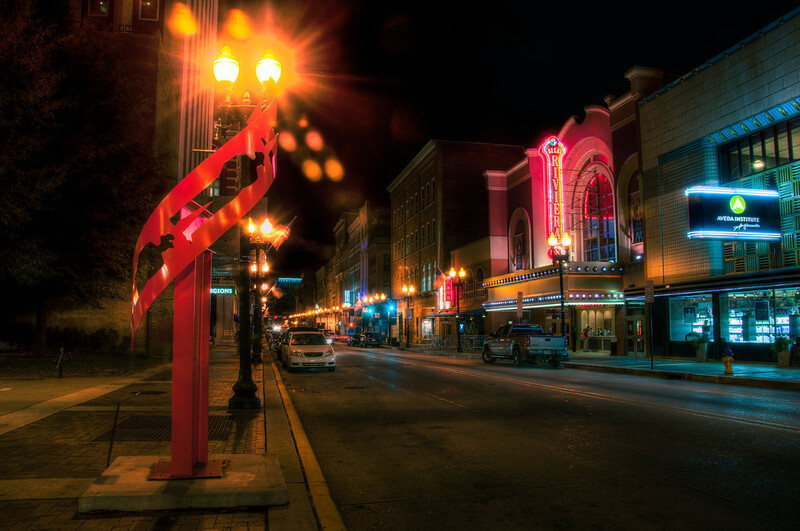 I spent a couple of evenings around the Market Square area of Knoxville. The first evening, I barely made it out of Market Square proper and not at all along Gay Street. This shot is of the Regal cinema on Gay Street. The traffic was so bad that it took forever to get this shot with out cars driving along the street. I guess I could have waited until about 2 in the morning, but I’m not sure it would have been any slower then.